The announcement was made via a Government Information Service (GIS) press release dated Monday February 26, 2017, amidst heightened discussions between residents, visitors and leaders about whether or not there should be a festival this year. 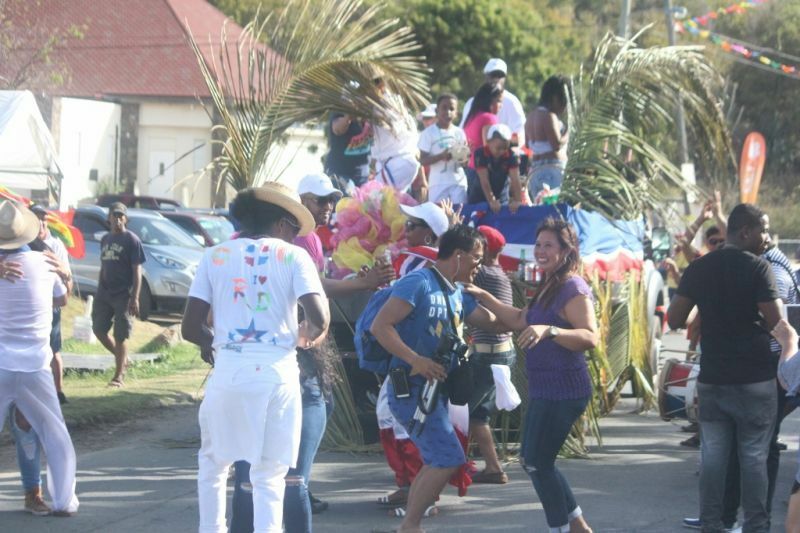 Many are of the view that the focus and limited resources should be on the rebuilding efforts following the destructive hurricanes of 2017 rather than a festival. The discussions were especially intensified following a viral video circulated on social media, which showed an individual calling for the cancelling of the festival. And during an interview on Sunday February 25, 2018 with Paul A. Peart aka ‘Gadiethz’ on Fresh Radio Vybz, the Former Labour Commissioner and Seventh District candidate with the Opposition Virgin Islands Party (VIP) in the 2015 General Elections, Mrs Oleanvine Pickering-Maynard made her position heard on the matter. Living conditions are still unfavourable for many on the sister island and most are still in the rebuilding phase, in hopes of being prepared for the next hurricane season. Lee Road, one of the main access roads on the island, is still in a deplorable state as was reported just over a week ago. There are big muddy potholes, water running on the road and many automobiles dodging water, mud, and debris. The GIS release explained; however that, “The Easter Festival … will feature a Gospel Fest on March 30, 2018, food fair on March 31, 2018 and a beach picnic on April 2, 2018 as was done in the early years of the festival. The Virgin Gorda Easter Festival Committee is also operating under a new leadership following the departure of Chairwoman Sasha D. A. Flax. 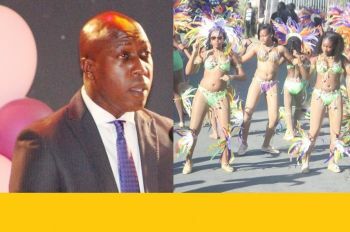 As first and accurately reported by this news site, Lyra George, previously Treasurer of the Virgin Gorda Festival Committee, is the new Chairwoman. Hush and you took the man turkey and ham last Xmas? justification weak. Just lead and cancel the damn ting. Trying to balance on a pin is playing politics. sometimes participative leadership is appropriate and at other times leaders have to make the tough calls; this is one of those occasions. A professional begging nation spending money on entertainment. What image/optics is this presenting to reluctant internal and external donors. I say cancel the Emancipation Festival too. What is the Premier’s take on all this? Is the decision outsourced? Well sah! What is this scale back SNAFU costing? $100K? did he excluded bertie from the decision making? Where is the 9th district rep on this? Those Back Benchers so disappointing. Six of them have all the power in their hands and they are allowing themselves to get pushed over by a minority..Only in the BVI. . He override the representative for the 9th and he didn't dare tried that with Ralph. @ LOL: the ayatollah ran things up in this place when the BVI was(nature’s little secret)....the secret out now!!!! (@NO FESTIVAL) At the end of the day we have to move on from the Catastrophic incident (hurricane Irma) and try to continue with the norm so that we can recover. festival is festival and recovery is recovery. apparently how our government here in the BVI operates is that when they are given a donation/money for a project whether there is something more important, that money is for that project. They cant ignore festival.. looks like we forgot the meaning of it in the first place. Give the people MONEY/ help and they might be just a little happy to celebrate . My question then is whether mvw cannot be cleared on the wall or whether the Governor just needs more time. The lobster fest establishments had to come out of pocket hun... No donations were given here!!! Places ran out of lobster cause the tourist board didn't even take time to ask the fishermen if they had pots to get lobsters.... all their concern was focused on just putting on the event... Not what people had to go through to make the event possible..
My People it is time to seek the Lord. How many time must I GOD build a fence around you for you to know how much I GOD love you?. Clean fun oh taste and see that the lord he is good blessed is the man/woman that trust in him. Trust me come drink from the living fountain you would not go hungry or thirsty. God is spreading out the buffet table before us everyday and we prefer to spend money for enjoyment. Christ giving it to you for free. Hear me my people come buy without money at heavens grocery store and his banqueting table. Time to Change the way we live. He that have an ear let him/ her hear. I sent you warnings many times any yet we not taking heed. have a weekend of endless prayers. Still trying to figure out these Politicians,?? [ These man went the same school I went only a decade earlier. So with that said " only Mathematics & Science had to be their best Subjects ]. It is obliviously clear there on an other agenda in the making. The man caught the ferry to VG to Publicly announce that the VG Festival is budgeted at a woping $ 100,000. pulled out of the misery bag, then a week later its down sized to particular pay up out-standings owed from LAST YEAR FESTIVAL that are still pending.. Still VG never gets what it really deserves. [Have he walked or drove around vg, it needs to soooo, much work... There are a lot of families still struggling day by day.. LET THE PENS BE OUR WEAPONS FOR FUTURE PEACE AND EXISTENCE.